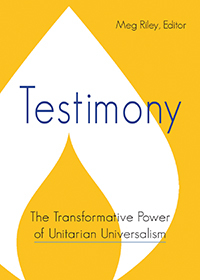 Just saying, maybe, there might be more than a slight probability that we as Unitarian Universalist (UU) may wrestle a wee bit with our Christian and Jewish roots. Consequently, during this season of Lent and Easter, some of us choose not to directly engage Easter stories that weave in and through RESURRECTION! We resist, even though our faith tradition flows from Jewish and Christian scared stories and theologies. Our congregations are blessed by UUs who identify as Christian and Jewish. For some Christians, the resurrection of Jesus is central to transformation and living a spiritually vibrant life. For some, the concept of resurrection is the breath and heart of their theological house. Resurrection gives authority to how life is lived. Resurrection represents the renewal of faith. If resurrection is not included in your theological house, I am just saying that I have an inkling that you have a few resurrection stories. For instance, have you ever felt hopeless? Have you ever experienced a dark night of the soul? Have you ever had a crisis of faith? Did you emerge from these circumstances renewed and determined to be and do differently? This is a resurrection of sorts!